We are a local roofing contractor based in Leeds, and we cover all surrounded areas within West Yorkshire. We take pride and actually love doing the work we do. With each and every project we take the utmost care for your property. Because problems can appear with no sign, we offer a 24 hour emergency call out for such circumstances. Our customers trust us and it’s easy to see why as we’ve been in the trade for over 30 years. We’re confident we can solve your roofing problems. Repairs and work carried out are dealt in an effective and efficient manner, and any estimate we offer is done so free of charge. Throughout the whole process, from the initial consultation all the way to the completion of the job we provide a professional service for you and your home. This ensures that you receive complete satisfaction from us. Not only that, because of our extensive skills and knowledge gained through over 30 years of quality roofing, it allows us to provide an unrivaled service to each and every one of our customers. A master roofer can accommodate for any of your roofing needs. 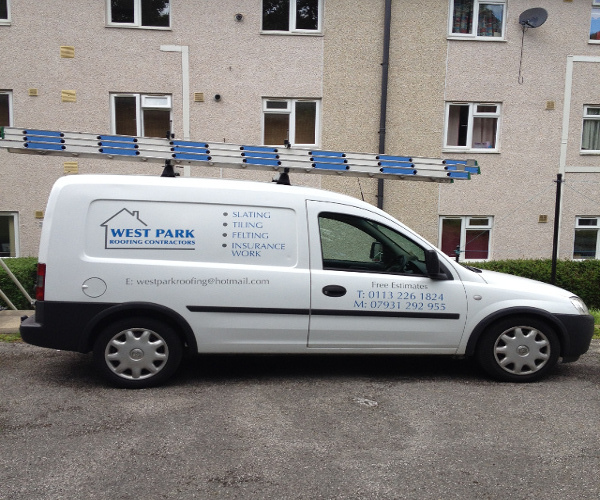 That’s why at West Park Roofing we offer services such as general roof repairs, flat roofing, roof line work, chimney restorations and much more!